This was a remarkable tasting: a chance to try a vertical from one of Italy’s most celebrated producers, Gianfranco Soldera. The wines are very expensive and hard to get hold of, made in tiny quantities, so it was wonderful to be able to try them just after I’d come back from a quick holiday in the region. 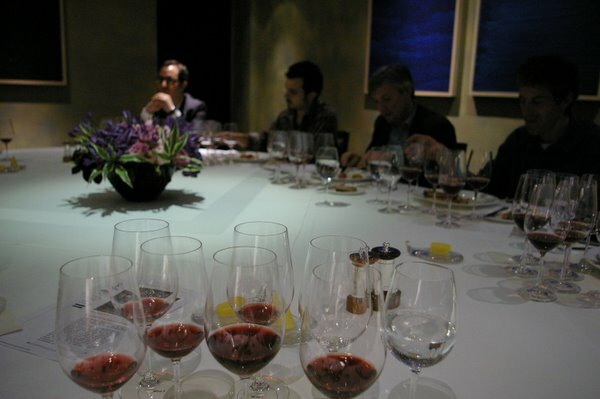 Even better, the tasting was set in the context of a lunch at The Square, one of London’s very best restaurants. It was a memorable experience. The wines were presented by Zubair Mohammed of Raeburn (www.raeburnfinewines.com) who imports them into the UK. Gianfranco’s daughter Monica was supposed to be coming over, but some problems at home meant that sadly she was unable to travel. So Zubair gave an introduction to Gianfranco Soldera, as well as presenting the wines. Gianfranco began working in Brunello in the 1970s. ‘He’s quite dogmatic,’ says Zubair, ‘but with the kind of product he has it is not a bad thing to be confident!’ Intistieti was the first vineyard he planted in 1971, from which he made his first Brunello in 1977. In 1972 he planted another vineyard, Casse Basse, which is slightly lower with heavier soils, making wines that are richer and more tannic. Casse Basse is also the name of Gianfranco’s estate. Intistieti is poorer soil, higher up, and makes wines that are perhaps finer in their youth but which have no problem with staying power. Both age remarkably well. Initially, the Casa Basse grapes were used to make a Vino da Tavola Rosso, and only with the 1988 vintage did Gianfranco use this vineyard to make Brunello. Altogether, he has some 8 hectares, and with phenomenally low yields this results in some 15 000 bottles annually. The vineyards are managed naturally, as an integrated ecosystem where refuge areas are set aside for natural predators. No herbicides are used and the fertilizers applied are organic. Gianfranco’s wife Graziella is a world authority on wild roses and the Casse Basse estate has a large collection of these. The vines themselves are clones Gianfranco isolated from old vineyards, which he propagated himself. Interestingly, Gianfranco sets aside a certain amount of his turnover (10% according to Zubair) for research in viticulture and winemaking. He’s a great believer in tradition, but also has a scientific approach. The cellar is constructed naturally with no cement or foreign materials. Zubair describes it as ‘very beautiful and very simple’. 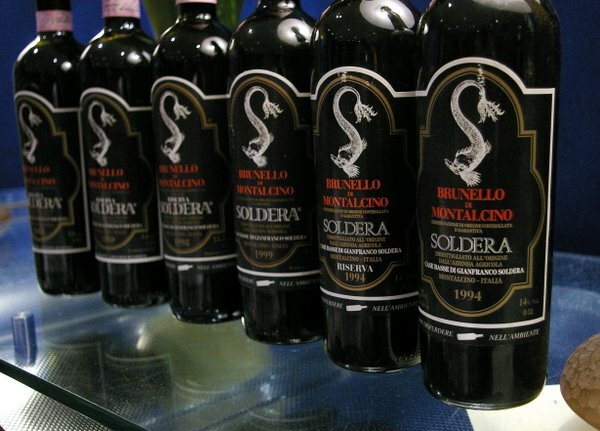 Soldera has been good friends for thirty years with Giulio Gambelli, who is celebrated as one of the greatest experts on Sangiovese. Gambelli is now in his 80s and still consults for Soldera. Zubair says that he’s a remarkable man, and is an important part of the way that Soldera works. Winemaking here is traditional, with a long maceration with some pumping over before ageing in large Slavonian barrels (botti) for 48–65 months. He uses very little sulphur dioxide.